Served in the Second World War. Worked at the City of Manchester Building Department from 1950 and was clerk of works for several regeneration sites in the city. Founded his own Packaging Business in 1970. Served on Westhoughton UDC from 1971-74. Represented Hulton Ward on Bolton Council 1974-84. Elected to Greater Manchester Council 1975. He took a vital role in the Croal-Irwell Valley Renovation Project. He worked hard for pensioners in Westhoughton. He was on 14 Borough and Council Committees at one time including Westhougton Youth Club, Over Hulton Services Club and Friends of Winifred Kettle. As Mayor he had Anglican, Methodist and Roman Catholic Chaplains acting in rotation. 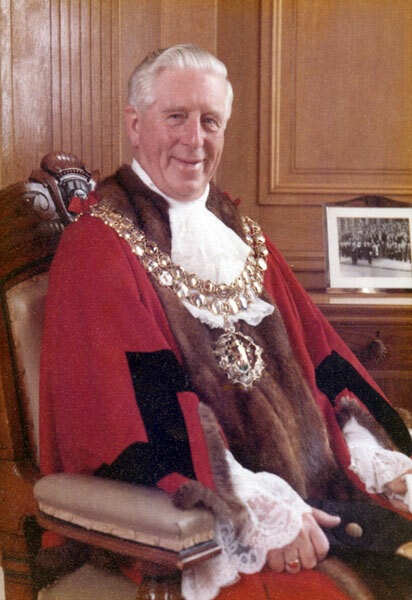 He was made an Honorary Alderman on his retirement in 1984. Described by the Bolton Evening News as "the quiet man of Bolton's politics". On his election it was said that, "Unity is the key to his year as Mayor. It is his aim to bring the divided people of Bolton together. Every township in Bolton has its own character which can and must be maintained." His wife, Anna, was Mayoress. 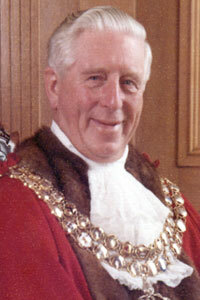 Formal portrait of James Smith as Mayor of Bolton.